Hard Rock band from Australia, formed in 1973 by Angus and Malcolm Young, they teamed up with Dave Evans (vocals), Larry Van Kriedt (bass) and Colin Burgess (drums). In 1974 both Larry Van Kriedt and Colin Burgess left and were replaced by Rob Bailey (bass) and Peter Clack (drums), a further change in 1974 saw Peter Clack leave and Tony Currenti (drums) join the band. In June 1974 they were signed by Harry Vanda & George Young (Malcolm & Angus's brother) to Albert Productions. In November 1974, Dave Evans left the band and was replaced by Bon Scott (vocals & bagpipes). Rob Bailey also left in 1974 and was replaced by George Young (bass). In 1975 Phil Rudd (drums) replaced Tony Currenti and Mark Evans (bass) replaced George Young. In June 1977 Mark Evans left and is replaced by Cliff Williams (bass) for their first tour of the USA. On the 19 Feb 1980 Bon Scott died at the age of 33. Brian Johnson (ex Geordie) joined the band to replace him on vocals and the album "Back In Black" was released, a tribute to Bon Scott, this album became the 2nd largest selling album of all time with over 40 million copies sold worldwide. In May 1983, Phil Rudd had a parting of the ways and was replaced by Simon Wright (drums), aged 20 then. November 1989 Simon Wright left and is replaced by Chris Slade (ex Manfred Mann's Earth Band, Uriah Heep & The Firm). In summer 1994 Phil Rudd "quietly" rejoined the band, but left again in 2015, which led to Slade's return. Malcolm Young left AC/DC in 2014 for health reasons. Brian Johnson was forced to stop touring in April 2016 because of hearing issues. To complete the 2016 tour dates, Axl Rose was recruited as a guest singer. In September 2016 Cliff Williams retired from the group. 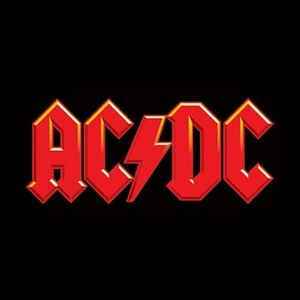 AC/DC are Australia's most successful rock band ever, and are popular around the world. The band was inducted into Rock And Roll Hall Of Fame in 2003 as a performer.